The fundraising team for the new chapter house currently recognizes and supports eight memorial funds. 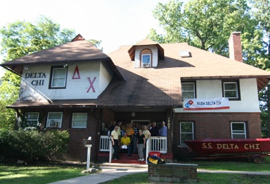 These memorials recognize brothers and others who have contributed to the Michigan chapter of delta Chi and who have passed away, often prematurely. Alums who were especially close to the memorialized brother can direct their pledges to the brother’s fund, as well as see their name on any naming-right plaques.